Once pests like fleas, ticks, and ants find their way into your home, they can be extremely difficult to get rid of. Although there are a variety of different pesticides on the market that you can use to kill these unwanted insects, there are safer, more natural options available. After all, why take a chance of poisoning your pets or children when there are much less toxic alternatives that you can use? The following section contains helpful tips for controlling fleas, ticks, and ants naturally. You may need to experiment with several different methods to get the results that you want. However, the time and effort that you put into the process are well worth it – especially when you consider that you are protecting your family from harm by avoiding the use of toxic pesticides. 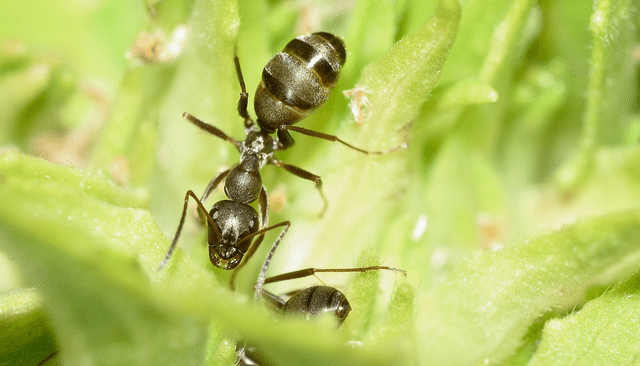 Ants are drawn to any type of food. They also tend to gather around water sources. One of the easiest ways that you can keep them out of your home is by storing food in airtight containers. Clean up any crumbs or spilled food right away to avoid attracting these tiny insects. If you do wind up with an ant infestation, there are several steps that you can take. First, you can try to follow the ants to see where they are getting into your house. Then, it is simply a matter of sealing off the entrance to keep them from getting inside. They often sneak in through tiny cracks around windows and doors. You can also use natural deterrents such as cinnamon oil to keep them from coming into your home. Simply apply the oil near the area where they are getting inside to drive them away. If all else fails, you can also kill them using a homemade mixture of borax and sugar. Create a paste made from equal parts of both. Apply some of the mixture to a cotton ball and place it in an area where ants can easily access it. The sugar will draw them in and the borax will kill them. One of the things that makes this method so effective is that they carry the sugar and borax mixture with them back to the nest, helping to kill the queen. Dealing with a flea infestation can be a nightmare for both you and your pets. Not only do you have to destroy the adult fleas but you also have to destroy their eggs and larvae. Otherwise, new fleas will continually be hatching, making the problem extremely difficult to control. The best way to deal with fleas is by preventing them in the first place. There are plenty of safe flea treatments available for pets that can help keep these unwanted insects from getting inside your home. If one of your pets does have fleas, bathe them using mild dish soap and water. Repeat the process frequently for a couple of weeks to continue destroying new adult fleas as they hatch. Fleas usually take up residence in the crevices around the edges of your home or deep down in your carpet fibers. One way to kill them is by using a product known as diatomaceous earth. This safe, natural product is made from crushed diatoms. All that you have to do is sprinkle it on your carpet or around your baseboards. When fleas come in contact with the substance, it damages their exoskeletons, causing them to become dehydrated and to eventually die. Ticks are a little bit more difficult to manage with natural methods. However, there are steps that you can take to help minimize the risk of them getting on you or your pets. Most ticks live outside, hanging out in dense vegetation. As animals or people pass by, they drop onto them, eventually burrowing into their skin and feeding off of them. You can help prevent this problem by trimming back the vegetation around your home. Regularly mow your lawn to keep it nice and short so that ticks can’t hide in the taller grass. Cut back the leaves on any shrubs or bushes in areas where your pets like to hang out. Move any piles of firewood away from your home. Ticks love living in firewood piles. Moving the piles away from your home can keep them from taking up residence too close to your property. Diatomaceous earth can also be beneficial for controlling ticks. Sprinkle it in any areas that you suspect have been infested by unwanted insects. Using these tips, you should be able to control ants, fleas, and ticks naturally. There is no need to rely on toxic pesticides. Instead, you can use safe, natural products to protect your pets, your family, and your home. The key is to be consistent and to experiment with as many different pest-control methods as necessary until you find one that works. Also, check out our article on some Lawn Care Tips by our experts.